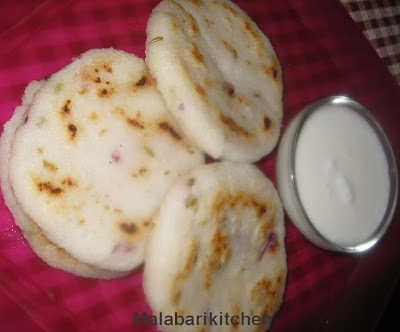 This is a thick version of pathiri which is very famous in Malabar region and finds a prominent place in Ramdan party. 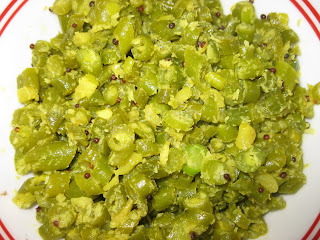 It is made with slightly roasted rice powder(pachari) mixed with shallots, crushed fennel seeds and coconut. =►Boil one cup of water & salt in a wide pan. =►When it boils add 1cup of rice powder little by little and keep on stiring. Mix it well and switch off the flame. 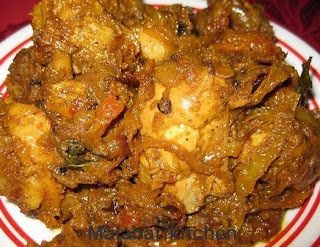 =►Next add crushed fennel, grated coconut, sliced shallots, 2tsp of oil and coconut slices. =►Mix it well and cover it with a lid. Leave it for 8-10min. =►Once the dough is slightly cool ,take it on flat surface and knead it well like chapathi dough. 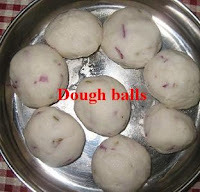 =►Divide the dough into small balls (like chapathi dough balls). 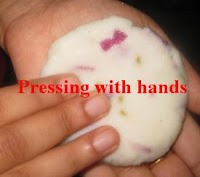 =►Put little bit oil in your hand, place the dough balls and press it nicely. =►Press it untill it get the shape of small bangle and the thickness should be 1-1 1/2 inch. 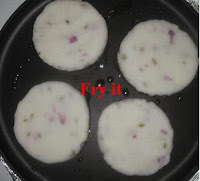 =►Heat 2tsp of oil in a skillet, fry it untill light brown color appear on both sides. 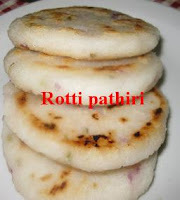 =►Rotti pathiri is ready. This goes with any non-veg curry or sweet coconutmilk. 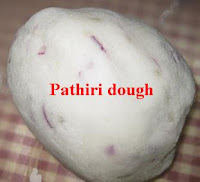 Note- You can put dough on a bangle or any round shape material to get a good shaped rotti pathiri. Roti pathri looks delicious Lisha.